Thermocol Confetti is available in varying pack sizes. Large pack sizes for bean bags are also available. Thermocol Confetti comes in multy colour, white and various single colours including gold and silver. Confetti is commonly used for birthday parties, weddings and other occasions as fillings in balloons and khoya bags. It is also used as packing material. Reckoned amid one of the credible market names, we are willingly betrothed in offering to our patrons Thermocol Balls. We are counted among the leaders in manufacturing, supplying quality Thermocol Balls to the customers. Customers can avail these products in different density, colors and sizes as per their needs. These products are extensively used in packaging different material during transportation which keeps them safe and secure. These Thermocol Balls have a perfect finish and is extensively used in packaging materials during transportation to keep the products safe and secure. By understanding the needs of patrons, we are presenting a quality approved spectrum of Thermocol Beads in the market. 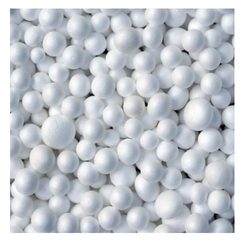 Thermocol Beads have a lot of properties having varied uses from being used in bean bags to being put in the soil for the soil to breathe. We are one of the best organizations in the market, involved in offering a wide collection of Thermocol Beads to the customers within the stipulated frame of time at very affordable rates. 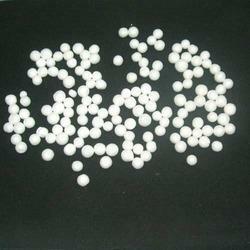 We are a popular company known for providing Thermocol Beans to the clients. These products are available in various sizes in order to meet diverse requirements of our customers. Used for decoration as well as commercial & industrial applications.